Though two of them don’t actually list Decks for some reason. Use “Salamangreat” monsters to Link Summon monsters like “Salamangreat Heatleo”. If you Link Summon usuing “Salamangreat Heatleo”, you can return 1 card in your opponent’s Spell & Trap Zone back to the Deck. “Salamangreat Emerald Eagle” can Tribute a Link Monster to activate, and can destroy an opponent’s monster and inflict damage equal to half the ATK of your opponent’s monster. “Salamangreat Sanctuary” allows you to use a single “Salamangreat” Link Monster you control to Link Summon a “Salamangreat” Link Monster. It also can let you pay 1000 LP to target a Link Monster on your field, have its ATK become 0 and gain LP equal to its ATK. “Rise of the Salamangreat” works like a typical Ritual Spell for the most part allowing you to Ritual Summon a “Salamangreat” Ritual Monster using monsters you control or in your hand to Ritual Summon it, but it can also let you banish “Salamangreat” Link Monsters if you control a FIRE Link Monster. Also if it’s destroyed, you can Special Summon “Salamangreat Emerald Eagle” from your hand, by ignoring the Summoning Conditions. Cards like “Salamangreat Heart” and “Salamangreat Gift” can activate powerful effects if you have a “Salamangreat” Link Monster on your field that was Link Summoned using a monster with the same name as a Material. Use the “Reincarnation Link Summon” used by Soulburner in the animated series!! 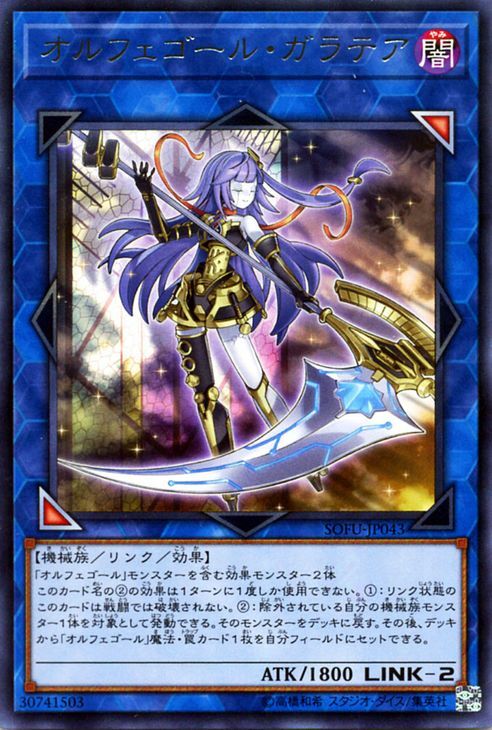 • “Salamangreat Meer” lets you discard another “Salamangreat” card from your hand to Special Summon itself from the hand. When you do this, you can discard “Salamangreat Falco”, then use the second effect of “Salamangreat Falco”. By using this second effect you can return the “Salamangreat Meer” on your field to the hand, Special Summon “Salamangreat Falco”, and then since “Salamangreat Meer” was added to the hand except by a normal draw, its1st effect allows you to Special Summon it, assembling monsters on your field! • If you Link Summon “Salamangreat Heatleo”, you can return 1 card in your opponent’s Spell & Trap Zone to the Deck with its first effect! And if you Link Summoned it using “Salamangreat Heatleo” as a material, you can use its second effect to target 1 monster on the field and 1 monster in your GY and have that monster on the field’s ATK become the same as the monster in the GY’s until the end of the turn, and as such, “Salamangreat Meer” with its low ATK is a perfect choice to disrupt an opponent’s monster with high ATK. Also, if you activate the Field Spell “Salamangreat Sanctuary”, you can use 1 “Salamangreat Heatleo” as the material for Link Summoning “Salamangreat Heatleo”, allowing you to use its second effect! • The Continuous Spell “Salamangreat Heart” and the Continuous Trap Card “Salamangreat Gift”, if you control a “Salamangreat” Link Monster that was Link Summoned using a monster with the same name as a Link Material, you can activate powerful effects, so gather the materials and use “Salamangreat Heatleo” as a Material for Link Summoning “Salamangreat Heatleo”! Use “Galaxy” and “Photon” cards together and aim for victory. • The Spell Card “Galaxy Trance” lets you Special Summon a “Galaxy” and “Photon” monster of the same Level from your Deck and GY! The Special Summoned monsters have their effects negated, and their ATK become 2000, allowing you Special Summon “Galaxy-Eyes Photon Dragon” or Link Summon “Galaxy-Eyes Solflare Dragon”! • “Photon Vanisher” can be Special Summoned from your hand if there’s a “Photon” or “Galaxy” monster on your field! During the turn it’s Special Summoned, it cannot attack, but you can add 1 “Galaxy-Eyes Photon Dragon” from your Deck to your hand, and with all the conditions assembled, you’ll be able to Special Summon “Galaxy-Eyes Photon Dragon”! • “Galaxy Brave” lets you reveal a “Photon” monster from your hand to Special Summon it from the hand! And, its Level becomes the same of that as the Level of the “Photon” monster you reveal, meaning you can use the monsters on your field with their Levels assembled to Xyz Summon! • Use the Continuous Trap “Photon Change” to send a “Photon” or “Galaxy” moster you control to the GY, then choose to use one of its two powerful effects. And if send “Galaxy-Eyes Photon Dragon” to the GY to activate it, you can use both effects! Use your Orcust Link Monsters to return your banished LINK monsters to the Deck.